Abq Jew ® Blog: The Joint Is Hopping! Lots of Stuff Going On Here: You can find complete information about most of these events - and more - on AbqJew.com's Upcoming Events page. Or you could check out the AbqJew.com Calendar. But here it is anyway. Just trying to be helpful! 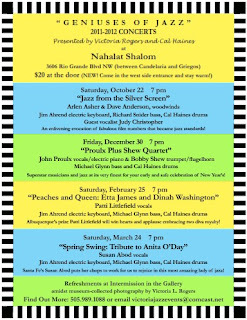 The first of four concerts in Nahalat Shalom's Geniuses of Jazz Concert Series. Arlen Asher & Dave Anderson, woodwinds. Jim Ahrend, electric keyboard. Richard Snider, bass. Cal Haines, drums. Guest vocalist: Judy Christopher. An enlivening evocation of fabulous film numbers that became jazz standards! Tickets: $20 at the door. Info: Please call (505) 989-1088 or email victoriajazzevents@comcast.net. The opening presentation at the JCC Book Fest 2011, the New Mexico Jewish community’s annual celebration of the written word. Tickets: $10 to $25. Info: Contact Phyllis Wolf phyllisw@jccabq.org or (505) 348-4500. 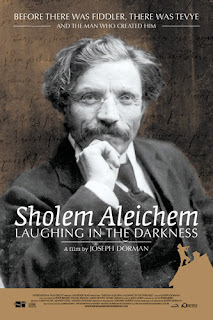 The second of five films in HaMakom's Jewish Film Festival. Reservations: To reserve seats, send e-mail with your name and number of tickets to info@hamakomtheplace.org. Tickets will be held at the CCA Box Office. And don't forget - Israel Inside / Out begins Wednesday October 26th! on AbqJew.com's Online Learning page. 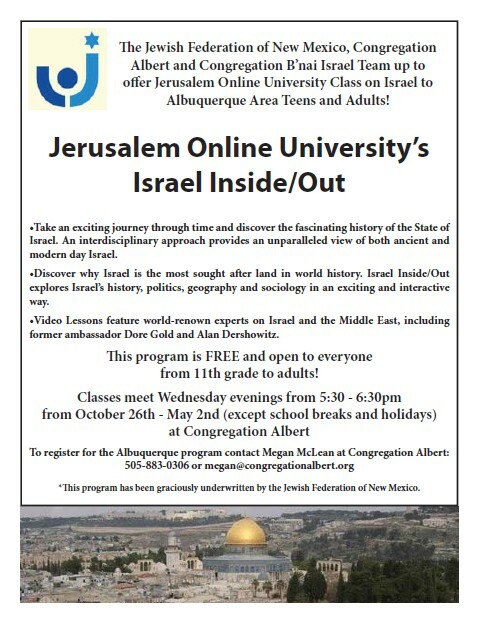 Jerusalem Online U @ Congregation Albert! Yidden #OWS Occupy Wall Street!